Shirley, NY - For many who lost loved ones from TWA Flight 800, the passage of 20 years has helped them carry on. Others say they will never get over the heartache from what remains one of the most hotly debated air disasters in history. 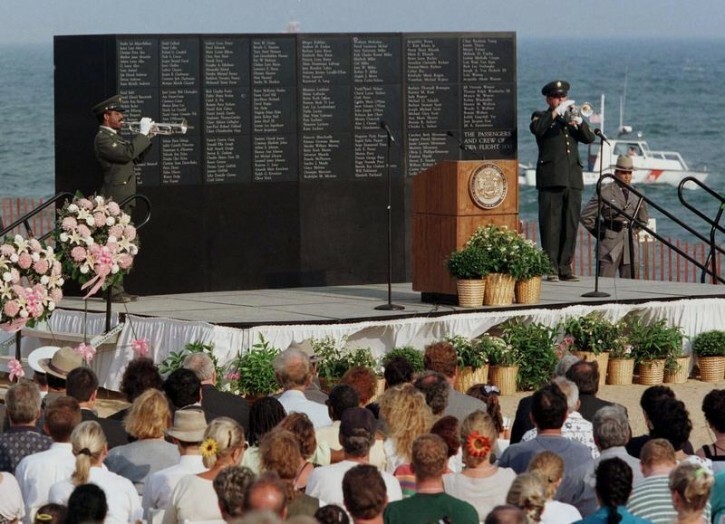 Soon after the Paris-bound flight took off from John F. Kennedy Airport in New York on July 17, 1996, the Boeing 747 exploded off Long Island, killing all 230 aboard and leaving a surreal, fiery crash site on the water. 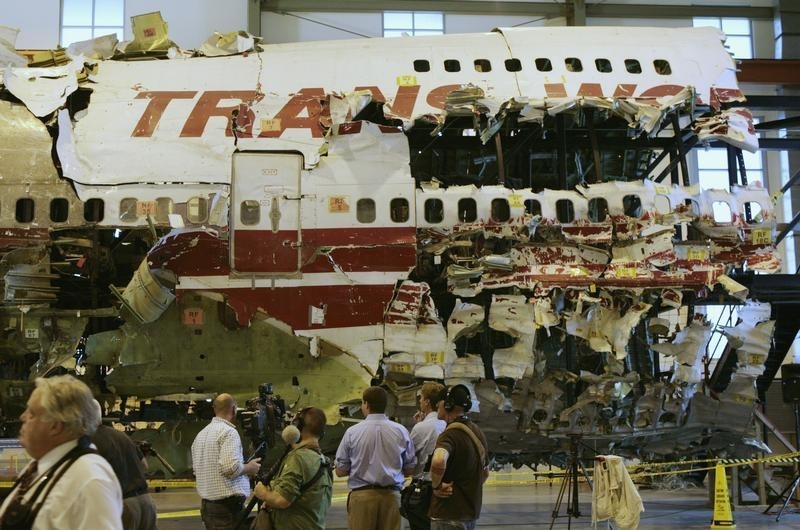 Some still question the findings that the jet airliner was brought down by a center fuel-tank explosion ignited by a spark from a short-circuit — a conclusion reached after investigators painstakingly reassembled the wreckage like a jigsaw puzzle. Naysayers contend witnesses saw a missile hit the plane, something the National Transportation Safety Board has consistently rejected. “Let it go,” says John Seaman, whose niece died in the crash; he has led an organization of victims’ families since the crash. Among the most heart-wrenching tragedies were the deaths of 16 teenagers and five chaperones, part of a high school French club from Montoursville, Pennsylvania. A memorial service is set for Saturday at the high school. Some who lost classmates 20 years ago are now teachers at Montoursville High School, where a memorial garden is still tended by students. The Rev. Mychal Judge, the Fire Department of New York’s chaplain, raced to a hotel near Kennedy Airport where families had gathered after the crash. Judge is the only person other than the victims remembered at a memorial built at Smith Point County Park on Long Island near the crash site. Judge joined relatives for a memorial service every year through 2001. “Every year that you come here, you make this spot more blessed and more sacred if that’s possible,” he told them at the park. Six weeks after the 2001 service, he died in the 9/11 attacks on the World Trade Center. Steve Tarolli and David Goldstein were among dozens of divers who responded to the air disaster. Over many months, the Suffolk County police officers joined FBI, State Police, Navy and other divers in the recovery. Tarolli immediately encountered 100-foot flames as his boat maneuvered through the debris field recovering bodies that first night. “We knew we were just going to try to give them as much dignity in the recovery process as we could,” he said. Lisa Michelson’s 19-year-old son, Yon Rojany, was aboard Flight 800 on his way to Italy, where he hoped to play pro basketball. She is among those who still don’t accept the official explanation that the crash was accidental, saying she believes witnesses who contend they saw a missile strike the airliner. Michelson said she intends to attend this year’s memorial service on Long Island. 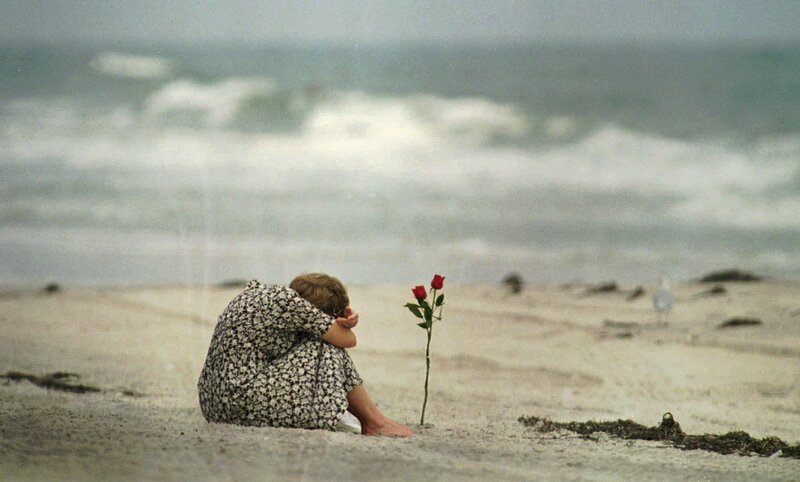 Actor Joe Mantegna pauses each year on the TWA Flight 800 anniversary to remember Lois Van Epps. The film and television star fondly recalls Epps as a young English teacher in Cicero, Illinois, in the mid-1960s, when she encouraged him to join the drama club after seeing him play bass in his rock back, the Apocryphals. Fittingly, she said, the Lois Van Epps Scholarship has awarded $147,000 to 89 Edgemont seniors since the crash. I remember that out of respect to the Jewish victims, the local officials on Long Island, saw to it that there were no autopsies performed, on those victims. Unfortunately, that was not the case seven and a half years earlier in Scotland, when Pan Am 103, exploded over Scotland. Then, the insensitive Scottish officials refused to make any exceptions for autopsies on any of the victims, despite the protests of the relatives. Incidentally, there was a very thorough analysis performed on the aircraft, which was reconstructed. There was absolutely no evidence of a missile strike. The 747 was 25 years old, and a short circuit caused the fumes in the center fuel tank to ignite. Since that disaster, all commercial aircraft have been redesigned to prevent a similar occurrence.